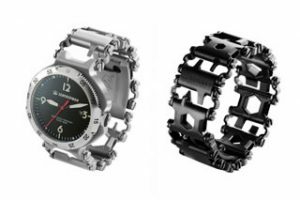 Leatherman has developed a multi-tool that can be worn on the wrist made with Metal Injection Molding (MIM) links. 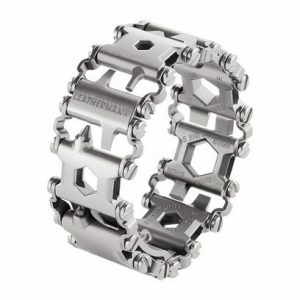 The Leatherman Tread bracelet is crafted of high strength, corrosion resistant 17-4PH stainless steel links that include two to three functional tools each. The bracelet is crafted to be fully customizable with slotted fasteners, so the user can rearrange links, add new ones, or adjust for wrist size. Even the clasp is functional with a bottle opener and #2 square drive. Other link tools include a cutting hook, hex drives, screwdrivers, box wrenches, and a carbide glass breaker. A version of the Tread bracelet that includes a watch will be available in autumn 2015. This story is reprinted from material from Leatherman, with editorial changes made by Materials Today. The views expressed in this article do not necessarily represent those of Elsevier.